I've enjoyed this author's previous works and the Viking inspiration on this one is really cool! This one sounds VERY cool and that cover! This wouldn't be something I would normally go for but it sounds interesting! Interesting....that axe kind of says a lot, doesn't it? I like the cover and it sounds like an interesting read! I've seen this one around and haven't ruled it out but I really have to stop thinking I want to read everything! This sounds awesome, and I need more Viking stories!! Oooh! I've seen this book around before! Great pick! This sounds terrific, Angela! I hope you enjoy it! This sounds like it's gonna be intense! 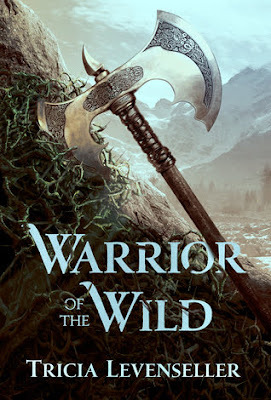 I love the Viking vibe....this one is definitely on my TBR list! Great pick! I still need to read her other series but I'm excited for this one too. Viking stories always fascinate me. Great pick! I've seen a few warrior/viking YA books pop up. I guess it is becoming a thing and I'm pretty excited by the prospect. The killing of the god sounds pretty cool especially since I'm so into The Magicians lately. I would love to see more Viking books, too! This book is SO GOOD! I hope you love it! I'm curious about this one as well. Hope it turns out to be a good one. This sounds interesting. I hope you enjoy it if you get a chance to read it!